Several commentators have noted the “thrown together” nature of the 2019 federal budget released last month. One of the outcomes, of what seems to be several ill-considered initiatives, is that some parts of the budget openly contradict other government programs and reforms. One of the more prominent contradictions relates to housing policy. In 2016, the federal government tightened eligibility requirements for mortgages and expanded mortgage stress tests. These measures were designed to cool the country’s housing market. Budget 2019, however, introduced measures that could reignite parts of the housing market. Specifically, Ottawa introduced the First-Time Home Buyer Incentive, which allows eligible first-time homebuyers to finance a portion of their home purchase (10 per cent for a new home, 5 per cent for an existing home) through a shared equity mortgage with Canada Mortgage and Housing Corporation (CMHC). This measure could easily stimulate portions of the housing market—specifically the condo market generally and the starter-home market outside large metropolitan areas. So with one hand the federal government tightens the housing market to try and reduce demand while the other hand tries to stimulate certain parts of the housing market by making it easier to buy. 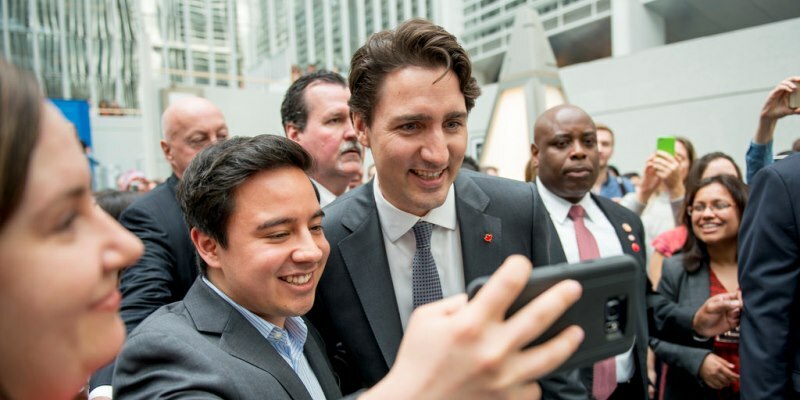 In its budget, the Trudeau government also proposed to give first-time homebuyers greater access to their RRSPs by increasing the Home Buyers’ Plan withdrawal limit from $25,000 to $35,000. This measure aims to improve the possibility of homeownership for millennials by allowing them to contribute more of their savings towards a down payment. However, the federal government (in concert with the nine participating provinces) recently introduced increases to the Canada Pension Plan (CPP) that include a higher payroll tax. The higher tax, which means less disposable income for savings, makes it more difficult for millennials and Canadians more generally to save in RRSPs. In fact, the evidence demonstrates that higher mandatory CPP contributions will cause Canadians to save less in their RRSPs and other private savings vehicles. With Canadians reducing savings in their RRSPs to offset the higher CPP tax, they will have less money to withdraw later to buy a home. Again, with one hand the federal government increases RRSP access to finance a down payment but with the other hand makes it more difficult to contribute to RRSPs. Finally, there’s job training—one of the only areas where the government will actually spend money immediately on new programs. The new Canada Training Benefit aims to help workers upgrade skills and training so they can remain active and productive in the labour market. A subtext for this initiative is the need to keep older workers in the labour force. Indeed, the program is available for Canadians up to age 64. However, at the same time this government reversed previous policy reforms that would have seen the age of eligibility for federal public retirement programs increase from age 65 to 67 (over a decade-plus implementation period)—in part, to encourage older workers to remain in the workforce. Undoing this policy was one of the first initiatives of the new Liberal government. Again, the federal government encourages older workers to remain in the workforce with one policy, but discourages them with another. Overly politicized budgets, particularly budgets seemingly assembled haphazardly, risk producing poor policies. The contradictions throughout Budget 2019 indicate that several of the policy proposals were not well-considered with respect to previous government reforms and should be reconsidered in a broader context of what both hands of government are doing on various policy issues.